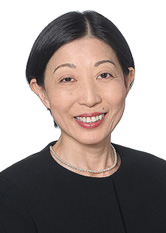 Reiko Takikawa's practice focuses on matters pertaining to trusts and estates. As a bilingual attorney, she counsels international clients with cross-border issues, both individuals and corporate, particularly Japanese. She provides guidance to Japanese clients on U.S. laws and the legal system, as well as proceedings in the New York Surrogate's Courts. Ms. Takikawa advises on and prepares planning documents including wills, trust agreements, powers of attorney, and advance directives. She represents clients in individual and fiduciary capacities regarding probate matters and the administration of estates, including families of decedents who left assets in the U.S. In addition to her primary focus area of trusts and estates, she practiced immigration and nationality law. She co-authored "Avoiding Charges of Immigration-Related Discrimination - a Primer for Japanese Employers in the U.S.," published in International Legal Strategy (March 2001). Prior to entering the law field, Ms. Takikawa had a career in the international business community handling international bids for interior design, decoration and FF&E contracting. Ms. Takikawa has extensive experience in translating complicated legal, financial, and technical documents using English and Japanese. She cooperated in the translation of "The Law of Corporations In a Nutshell," published in 1999. She is an associate member of the American Translators Association. Additionally, Ms. Takikawa was a visiting scholar at The Hastings Center in Garrison, New York, conducting research into advance directives and patients' interests. She is committed to pro bono activities for Japanese communities in the New York area.